The battle and evacuation of most of the British Expeditionary Force and many of its French allies from Dunkirk in 1940 was one of the most significant events in the Second World War. 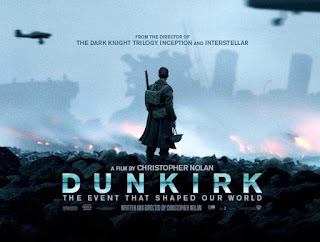 There have been several films about it, and this is the latest, written and directed by Christopher Nolan. Though the movie is good, I must reluctantly admit to disappointment. It just didn’t have the expansiveness that such an epic of history demands. 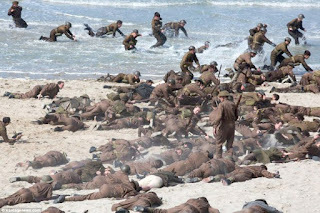 One of the reasons for this is, I think, Nolan’s decision to view the battle from ‘ground level’, as it were. 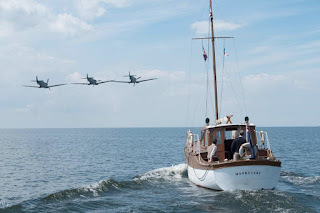 The protagonists are ‘low-level’ performers on the stage of history: a Spitfire pilot (Tom Hardy), a civilian ‘weekend sailor’ (Mark Rylance) and a soldier (Fionn Whitehead), representing the three elements - air, sea and land - of the battle. I have often read that an individual’s perception of a battle may be quite different from how it is viewed at large - a soldier who survived the most ferocious fighting of his life learns that he was in no more than a skirmish, or finds himself with nothing to do during a titanic struggle - and in Dunkirk, the three men’s experiences don’t translate into anything big or gripping. Another problem is the storyline that follows Whitehead’s character. While Rylance and Hardy are heading into battle to do their bit, Whitehead is trying to flee. He and his comrades spend a great deal of time waiting, strolling along the beach and watching. This is no reflection on his or other soldiers’ character; there was little for individuals to do unless they were posted to defend the city’s perimeter. At one point, Whitehead and others crowd into the hold of a grounded trawler, and wait for the tide to float the boat so they can escape. Awaiting the tide becomes the maritime equivalent of watching paint dry. Whitehead does experience action: he is thrice involved in sinking ships. Though this may have occurred in real life - indeed, I have read first-hand accounts of officers and men rescued from one stricken vessel, only to have their second ship sunk under them - the repetition in a movie grows more tedious, rather than exciting. 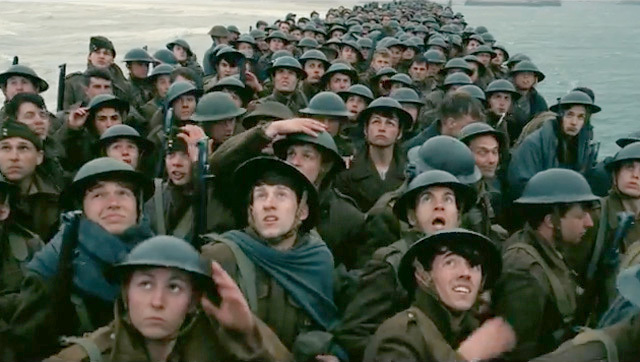 At 106 minutes, Dunkirk is just the right length for its story, but I can’t help thinking that it deserved to be longer, with another, higher level involved. A series of parallel stories, showing the planning and execution of the operation by generals and admirals, would have created a greater sense of the scope of the true event. Here, there is little indication that the city and beaches were defended, when in fact, large numbers of British and French troops fought constantly to keep the Germans at bay. 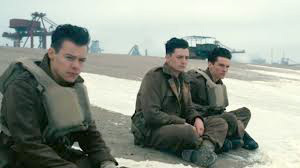 Dunkirk itself was a ruined shambles by the end of the evacuation, but in this movie, buildings are intact, windows still neatly glazed. In fact, the only attacks made by the Germans on the Allied forces are sporadic assaults by air and under sea. In real life, the artillery bombardment was continual. There is, surprisingly, relatively little action in this film about an event in which something was always going on. The performances are excellent, mostly given by unknowns, though Hardy and Rylance are prominent, and James D’Arcy and Kenneth Branagh play, respectively, an army colonel and a Royal Navy commander - the highest ranks seen except for a brief appearance by an admiral. Michael Caine (who played a prominent part in 1969’s The Battle of Britain) gives voice to an unseen pilot. There is little, really, to criticize regarding what was provided. Dunkirk suffers principally from what is not provided. 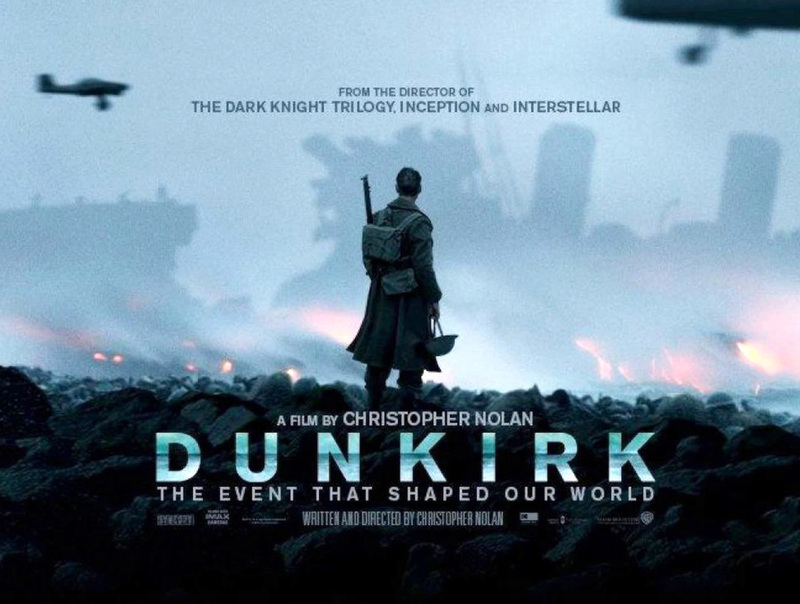 In the end, though a fine tribute to the men, service and civilian, who rescued an army and made ultimate victory in World War Two possible, Dunkirk is like a painting: a representation of scenes and events that convey an impression, rather than tell a true-to-life story. 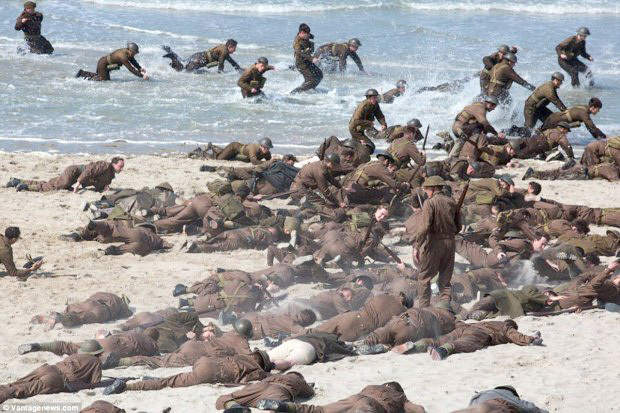 I haven't seen "Dunkirk," but it sounds like one of those films that would have been better as a TV miniseries. I used to love that genre: "Fall of Eagles," "Edward VII," "Edward and Mrs. Simpson," etc. Pity they don't seem to make too many shows like that anymore. I was thinking the very same thing while writing the review. 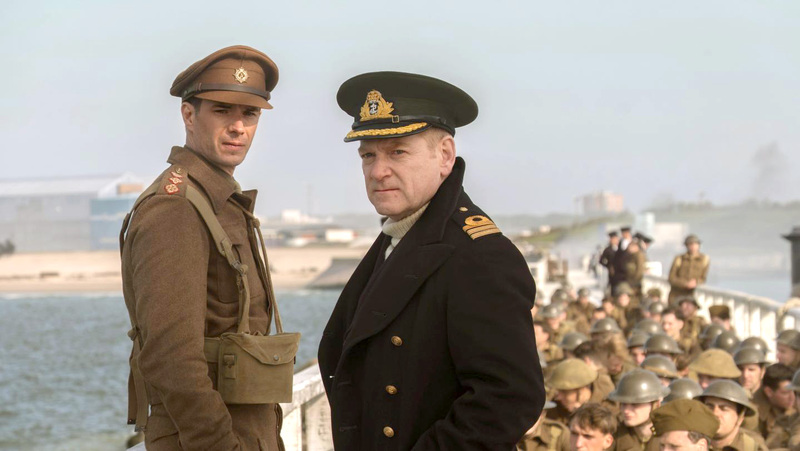 The evacuations from Dunkirk were as much an exercise in superb planning as they were in tenacious fighting, and need a mini-series about them. I loved the tv series from the BBC of the 1970s and early '80s, the days of tight budgets, excellent acting and sharp writing. I consider those days the golden era of the BBC. It's amazing what craftsmanship a small amount of money can create.